This class is fast pace. However, the class is not intellectually difficult. This is intensive training that is geared at having you acquire the necessary skills for developing data-driven web apps and to gain this proficiency requires lots and lots of practice. You may be spending up to 12 hours outside of class programming. For most of the class you can work at your own pace. New this year is an emphasis on mastery learning which will be explained in class. Because of the nature of the course it is possible for students to feel overwhelmed and start suffering. I will try to avoid this happening as best I can by adjusting the schedule and requirements as necessary. If you are feeling overwhelmed please let me know. The class is divided into two parts. The first part is 9 weeks long and covers SQL databases. The second part spans the rest of the semester and covers noSQL databases. The are programming projects for both parts. For the SQL component, we will be going through the textbook, roughly two chapters per week. You are responsible for keeping up with the reading. I will not lecture on material covered in the textbook. In the first 9 weeks there are 4 Readiness Assessment Tests (RATs) that assess whether you have read the material. Because of the hands-on nature of the course, you will need to bring a laptop (or a chromebook) to every class if you are to gain full benefit from the course. There is a long programming project where Wholesale Jerseys teams will design and implement a web application that uses a PostgreSQL database. There is another long programming project where teams design and implement a web app using a noSQL database. ~5,000 source lines of code for the entire semester. Laptop: You need to bring a laptop to class. You will be using it for in-class programming, learning to write SQL queries, and online tests. It will be beneficial to have PostgreSQL installed on it and you will need to access the secure network. demonstrate the ability to develop applications based on the model-view-controller design. If you are at Level Three or lower when mid-semester reports are jordans for cheap due, I will report your work as unsatisfactory. There will be approximately 4 short multiple-choice readiness assessment tests given during the course. Each test will be taken individually, then, immediately after, the same test will be taken as a team. Each individual test is worth on average 50 points; each team quiz is also worth on average 50. Makeup tests will not be given. These exams are timed assignments (200xp each). One involves writing a backend for a web service in Python and PostgreSQL. You have 4 hours to complete it. The other is one writing SQL queries. These will be available starting on the 6th week of the class. Once available you can request a competency exam at a time that is convenient to you. Once it is emailed to you the clock starts. The final is designed to mirror what you might expect in a job interview. Often, you are asked to bring your laptop loaded with your programming environment to the interview site and complete a task given to you. There will be six guided graduated projects throughout the semester designed to give you practice in writing data driven web apps. You can progress through these at your own speed but they must be completed by the 14th of April. The projects will be team based using Agile Software Development with Scrum. Scrum is a software development process that works on a development cycle called a sprint. In the case of this class, sprints will be two weeks long. At the end of each sprint each team will demo their application. Projects will also require use of the Git versioning system and GitHub. A portion of the XP for the projects is given for strictly conforming to the Scrum process and Git. The SQL Project involves writing a web application using PHP and MySQL about the difficulty level of developing a simple shopping site or simple social networking site. The project will be developed incrementally and you will have 3 deliverable versions of the project (one early on in the app’s development, one midway through, and one final version). You will receive points for each version. I will rate the project as a whole by assigning points. Your team will decide how to distribute those points among team members. Timed team exercises on SQL statements where you compete against other teams. Since there are no firm deadlines in this class, I worry that people will focus on work for other classes, delay working on tasks for this class and get que far behind. To nudge people to work on this class I have decided on the following negative reinforcement. Again, if you are on schedule there is no attendance requirement and you can miss as many days as you like without penalty. You cannot demo more than one project/coding calisthenic per class. Last semester someone came in the last day and demoed nearly all the projects moving from an F to a C+. That would be fine if I thought they learned something, but my gut reaction is that they just got the code from someone else. This is not an isolated occurrence and I always think that people really didn’t learn anything with this project dump. The last day to demo anything is 20 April. During the first week of class I will ask you for your avatar name, pseudonym, whatever. This is the name that will appear on the Experience Point Google Spreadsheet that will be viewable by everyone in the class. If you wish to remain anonymous, don’t share your avatar name with anyone. 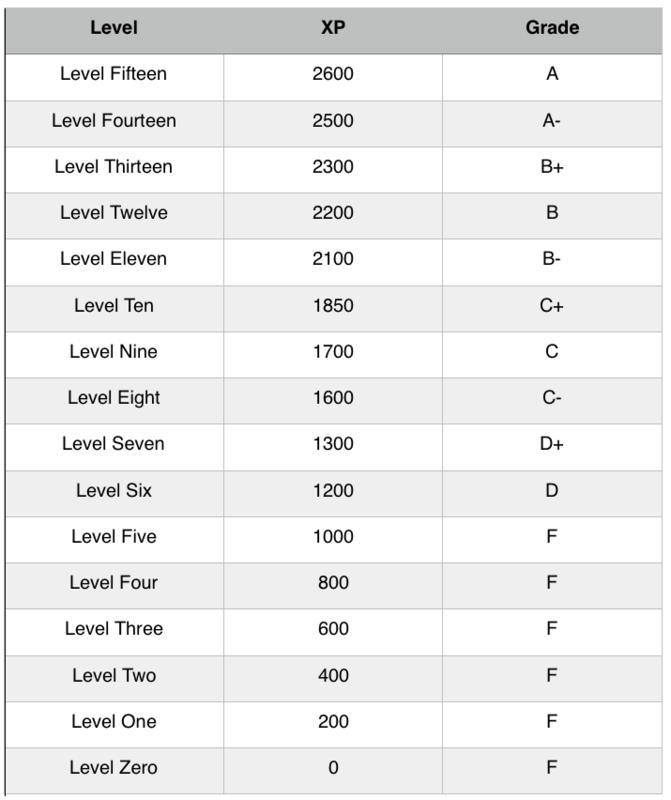 On the other hand, if you would like recognition for achieving level 10 as an example (“a cheap football jerseys big shout out to tera miner for achieving level 10″), you can share your name. The decision is yours. To further protect the anonymity of those who wish to remain anonymous, the spreadsheet will also be populated by fictitious avatar names. I will communicate with the class via piazza and the course web page. Any student with a documented disability may receive a special accommodation to complete any requirements of this course. If you are have a disability or believe you have one you may wish to self-identify. You may do so by providing documentation to the Office of Disability Services located in Room 203 of George Washington Hall (Phone: Voice 540-654-1266, Fax: 540-654-1163). Appropriate accommodations may then be provided for you. If you have a nfl jerseys shop condition that may affect your ability to exit the premises in an emergency or that may cause an emergency during class, you are encouraged to discuss this in confidence with me and/or anyone at the Office of Disability Services. This office can also answer any questions you have about the Americans with Disabilities Act (ADA). Plagiarism means presenting some other person’s work as your own. This can mean using some other person’s words without acknowledging their source, or using some other person’s ideas. Copying another student’s work (homework or exam) is also plagiarism. Plagiarism will minimally result in a negative score for that submission. For example, if a task is worth 100xp, a plagiarized submission will result in -100. Crowd sourcing Cheap Jordan Shoes and reducing my Cognitive Load. Here’s the deal. When communicating with me please error on the side of giving me too much information. Last semester, I received emails with sentences like “My partner was Austin” (when there were 3 Austins in the class) or “I worked with Matt”. It reduces my cognitive load if you specify what section you are in and give full names.